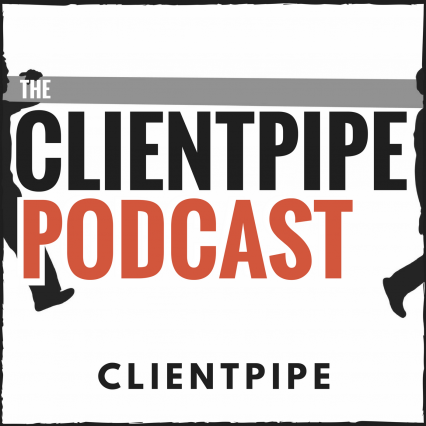 ClientPipe is a user community of independent consultants with a podcast called The ClientPipe Podcast, other media like ClientPipe TV, and Sales Quarterback Calls for more direct “how do I close THIS deal” kind of assistance. ClientPipe deals with subjects like finding clients, getting out of a job and working for oneself in the first place, and the ‘side hustle’ (moonlighting). Independent consultants are a net positive for enterprise and mid-market organizations. From a company perspective, diversity of suppliers is the name of the game now. We’ve gone through decades of outsourcing, but that wave has come to the shores of employment itself. Companies are embracing the change and asking ‘Since I might actually need some different skills next year, so how can I get that expertise into my pipeline? Why Are Independent Consultants Going it Alone? It’s in the interest of traditional staffing and consulting firms to exploit the fact that most consultants don’t sell for themselves. Those firms do the selling. They don’t want a professional consulting workforce who can get clients for themselves, because then there’s no need for traditional staffing and consulting firms in the first place. Independent consultants with a specific practice area like software development often shy away from sales and selling, yet they’re uniquely suited to it. Selling is code for ‘I can solve your problem.’ Once selling is configured as problem-solving, we’re at the crux of client acquisition. Modern sales isn’t working. People don’t want to be sold. They want their problem solved. Consultants can get all the clients they want. The future belongs to the problem solvers, not an intervening layer of dysfunctional management with its distractions. What if every consultant you talk to could solve your problem on the ground, and was empowered to do so without phoning home to check it with the management layer of a consulting firm? That’s augmented by consultants together, acting as a network. If every consultant is both empowered to solve problems that are in front of them, and is a walking network of direct access to similar problem solvers, you’ve changed enterprise management consulting forever. Remember that scene where Neo says ‘I need guns. Lots of guns.’ And suddenly every imaginable gun slides into view. That’s how consulting firms should operate for their clients. What do you need solved? Helicopter skills, cloud migration, Oracle app development? Downloading... Modern consulting is instant access to high value skillsets with premium delivery and minimum friction. We're not worried about corporate clients debating the issue of moonlighting. We’ve moved beyond the age of exclusivity. Even if a company wants to commit to permanent, full or exclusive employment for all professionals, it cannot. We’re not in a steady state economy anymore. Product life-cycles are shorter. Economic cycles are shorter. Disruption happens more frequently. Multiple streams of work are the thing, now. Raw Stories of Getting Clients as an Independent Consultant. The greatest challenge of Independent consultants is getting clients. Solving that is the mission of The ClientPipe Podcast, a just-launched syndicated audio discussion on iTunes and other platforms. The hosts are also consultants and focus on selling, the side-hustle, and always having enough work. The podcast is a centerpiece of the ClientPipe community, a digital community of independent consultants or professional “free agents”. It features explicit stories from the front lines of full-time independent consultants going after clients and corporate professionals working side-hustle engagements. Independent consultant Steve Pruneau and corporate storyteller Daniel DiGriz trade off-the-cuff narratives of pursuing clients and revenue as free agents. DiGriz and Pruneau are partners in Free Agent Source Inc, each with their own consulting practice areas. Daniel DiGriz leads marketing implementations, community development, and education projects. Steve Pruneau leads HR systems integration, implementation, and support. Free Agent Source Inc is the management consulting firm that delivers enterprise projects with corp-to-corp relationships and the agility of independent professionals. About Free Agent Source Inc.
We want the ClientPipe community to become eventually self-sustaining, with consultants helping each other find and win clients. We win when we, as hosts of a podcast, are obsolete. We see the podcast as a catalyst, throwing fuel and energy on a growing movement. We’ll be replaced by the people having this conversation in person to person networks in every city.